Eat, See and Play the Best of Niigata! Discover New Fun Every Time You Visit! Welcome to Niigata Furusato Village, filled with the attraction of Niigata! Niigata Furusato Village is a large tourism facility in Niigata Prefecture. 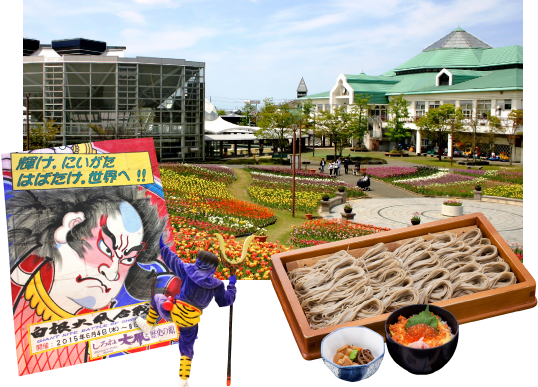 There are shops selling Niigata specialties, restaurants serving local cuisine, a Niigata sightseeing information corner and a corner providing Niigata historical and cultural information to visitors. Have fun at the Niigata Furusato Village surrounded by rich nature and greenery. Sake, rice and fish, of which Niigata boasts nationwide, senbei (rice crackers) and dango (dumplings), its specialty food, as well as lacquered bowels, a traditional craft of the area, are all displayed and sold here. Taste the local food made with seasonal ingredients at the food mall. 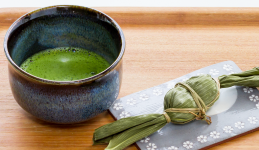 Approximately 10,000 specialty products and flavors of Niigata, including sake, rice and fish that the prefecture is known for. Every day is an exhibition! Try Niigata local dishes made with seasonal ingredients at the food mall. Sushi, soba noodles, sauce cutlet donburi are some of the popular choices. We look forward to serving local Niigata dishes made with local ingredients. Some of the popular Niigata selections are sauce cutlet donburi, hegisoba buckwheat noodles, and jumbo aburaage (deep-fried tofu) from Tochio area are must to try. Table seating only. Try sushi with the freshest seafood! There is also Kaisendon (rice bowl topped with sashimi). Japanese room seating only (sitting on mats). Reservation-only restaurant for small to large groups. Enjoy a variety of Niigata's local dishes. Table seating only. Find fast food from Niigata at the Yokocho. Enjoy casual Niigata dishes like ramen noodles, Tai-chazuke (rice bowl topped with sea bream slices with tea poured over it), pork cutlet donburi and more. Half sizes are available and visitors can try many kinds of food sharing with friends and family. Table seating only. 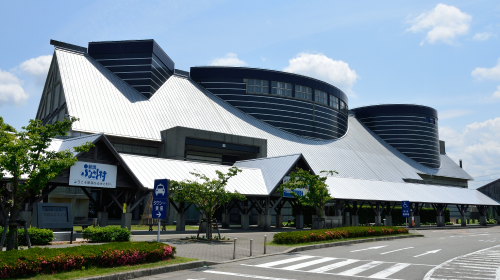 This is a base for history, culture and the most up-to-date Niigata sightseeing information. Visitors can see the changing lifestyle in Japan from the late 19th century to the late 20th century. Pamphlets and PCs to view sightseeing information of Niigata are available for visitors. 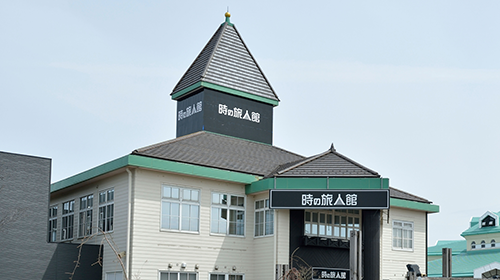 Here visitors will find the Information Search Corner where they can search Niigata sightseeing information, the Video Library of promotional videos for sightseeing spots, and the Internet Corner for the newest information on Niigata Furusato Village. Events and exhibitions are held in the Event Hall. Matcha green tea and rice flour chiffon cakes are popular at the Antenna Shop & Café GATARIBA. Reproduction of a farming village and the city during the Meiji (1868–1912) and Taisho (1912– 1926) periods, and the changing lifestyles during Showa period (1926–1989) are introduced in a 3D video. 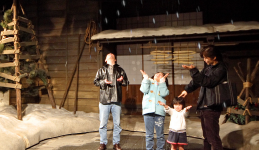 There is also a Snow Country Experience Corner, where visitors can experience snow throughout the year. 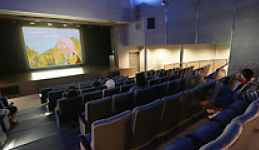 A film introducing the four seasons of Niigata is shown on a large screen at the Furusato Theater. Flower Garden with flowers of the season blooming. Highlights are tulips in spring and dahlias from summer to autumn. At Japanese-style Furusato Garden Park, visitors can feed carp in the pond and relax at old Japanese houses. The glassed-in Greenhouse features a large athletic area for children. 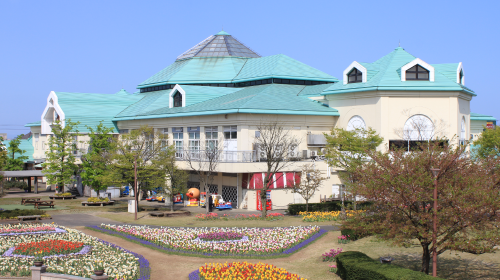 The center offers a wide variety of information that introduces Niigata to visitors at the exchange plaza, specialty corner and event corner, as well as sightseeing information search via the Internet.